Tired of travelling to the same old and crowded destinations where you cannot enjoy the beauty of nature to the fullest? If yes, then now is the time when you should consider a trip to Brahmagiri Hills in Karnataka, which is a beautiful mountain range flourishing in the Western Ghats and is an unconventional destination for offbeat travellers. It is certainly a beauty in diversity, considering the number of tourist attractions and recreational activities it offers its visitors. If you have never been to a place which feels like Paradise on earth, then Brahmagiri Hills is a sure-shot destination for you this weekend. You must not miss this incredible beauty which is characterised by misty clouds, lush green hills, rich vegetation and a fresh environment with a cool breeze, if you love being stunned by the inventions of nature. 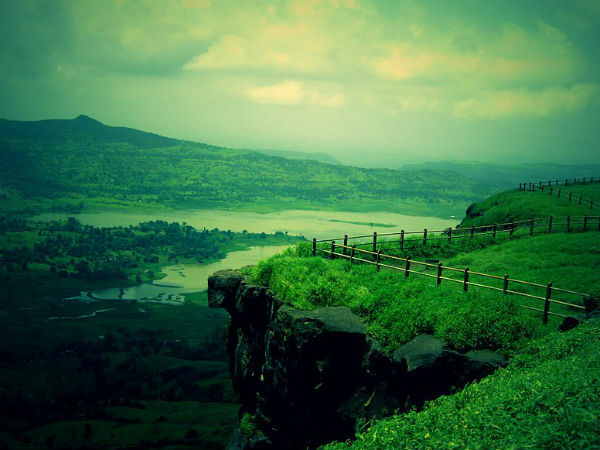 Read on to know more about Brahmagiri Hills in Karnataka. As the weather remains cool and pleasant throughout the year, Brahmagiri Hills is a year-round destination and hence, can be savoured anytime during the year. However, the natural beauty of this unexplored mountain range is at its summit from October until the end of May, as during this period, you can find each and every corner of Brahmagiri Hills blooming with a colourful environment. Brahmagiri Hills is a mountain range and is spread across the Kodagu district of Karnataka and the Wayanad district of Kerala. Being a part of the Western Ghats, the region of Brahmagiri Hills is rich in dense vegetation and diverse wildlife. With lands covered with squashy grasslands and hills patched with dense forests, this unexplored beauty of nature is a small paradise in South India and hence, it must be explored by every traveller, especially offbeat travellers. With an elevation of 5276 feet, the top of Brahmagiri Hills is rich in flowering plants and rare species of animals and birds. Being a natural landscape covered with hills, forests and grasslands, Brahmagiri Hills is one of the most photogenic places in the region. If you are planning on visiting this surprising beauty, then a camera is a must-bring equipment along with other accessories. Apart from photographing the panoramic beauty and capturing peaks and green carpets, you can also explore other places of Brahmagiri Hills, which include Thirunelli Temple, an ancient temple dedicated to Lord Vishnu, which is believed to have been constructed by Lord Brahma himself. It is one of the revered pilgrimage centres in the region and hence, it is also referred to as the Kashi of the South. Other places include Iruppu Falls, the trekking site of Pakshi Pathalam, Kadamba Jain Temple, Nishani Motte and Brahmagiri Wildlife Sanctuary, where you can spot several rare species of animals and plants. Ain't you looking for a place this summer where you can enjoy the purity of raw nature? If yes, then Brahmagiri Hills is your weekend getaway this season. From exploring its religious sites to trekking and photographing its unseen splendours to camping, there is a lot to do within the boundaries of this mountain range. Even though it is famous amongst tourists as a summer retreat, you can also visit its historical places and go adventurous on its hilly terrains. So, what do you think of planning a trip to Brahmagiri Hills this season when you are getting a complete package of hills, temples, trekking trails, grasslands, forests and wildlife? By Air: The nearest airport from Brahmagiri Hills is at Mysore at a distance of about 120 km. Once you have reached the airport, you can hire a cab till the base of the mountain range, as to reach its top and enjoy panoramic views, you need to trek up the hill. By Rail: You can take a direct train to Mysore railway station and then from there you can hire a taxi till the base of Brahmagiri Hills. By Road: It is the preferred mode of transport as the region of Brahmagiri Hills is well connected to nearby places by road. Once you have reached the base, you need to trek up the hill and through the forests to reach its tourist spots.